As a genuine British Lloyd Loom company we are able to offer any colour and can make non-standard or bespoke items that our clients require. Our clients enjoy the highest levels of service at a remarkable price. We manufacture all our Lloyd Loom furniture at our factory in Spalding. We pride ourselves on service and performance, which helps us to produce your order on schedule. Our Lloyd Loom designs are suitable for use around the world and we can deliver to you worldwide. 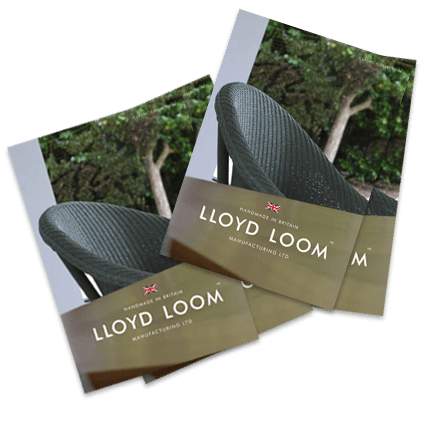 We always endeavour to source sustainable materials, which help make our Lloyd Loom products among the most recyclable and ecologically sound furniture collections available. Alongside our Lloyd Loom collections, our style options and bespoke items are designed to be both durable and attractive, complementing any scheme you have in mind, just ask. We source the finest materials for use in our Lloyd Loom furniture. 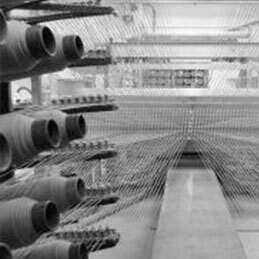 We check for sustainable and ecological materials whilst driving production to use the traditional hard wearing products that ensure our Lloyd Loom will last for generations. 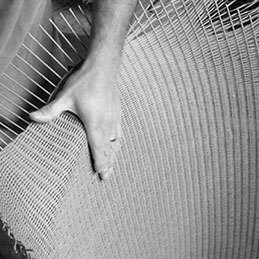 Our skilled craftsmen take the machine-woven Lloyd Loom made of Kraft paper, then cut and fix the weave on to a bent beechwood frame. Combining fine materials, traditional skills and expert knowledge, we are able to produce classic, contemporary and bespoke furniture to the highest standards of craftsmanship. Lloyd Loom furniture is renowned for its durability, comfort and timeless elegance. We combine the traditions of Lloyd Loom with contemporary design to refine and enhance the furniture for a modern lifestyle. The classic design of Lloyd Loom furniture is an expression of sophistication, becoming an intrinsic part of your world and a well-loved heirloom for the future. Early 20th century technology is at the heart of Lloyd Loom from the production of the weave to the turning and steam bending of our solid beech frames. 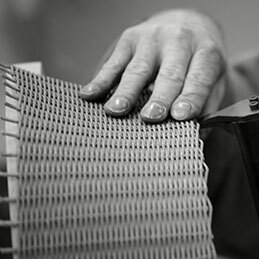 Our production team, designers and craftsmen incorporate 21st century technology to improve designs, techniques and processes. Lloyd Loom is a machine-woven material made of Kraft paper, cut and tacked on to a bent beechwood frame. This sounds simple but there is a real art and craft involved in every piece of furniture. Our Lloyd Loom furniture has to pass rigorous quality control, and ultimately it has to look and feel right. 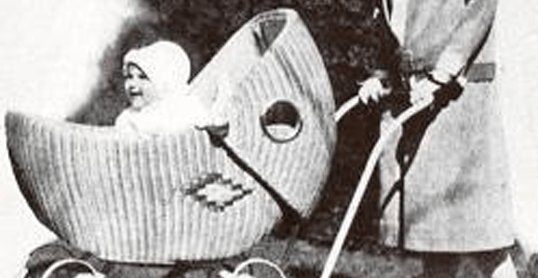 Lloyd Loom starts at the beginning of the 20th century, Marshall Burns Lloyd was involved in the development of Wicker strollers and prams. Although they were very popular in the beginning of the 20th century, they were also slow and expensive to produce. 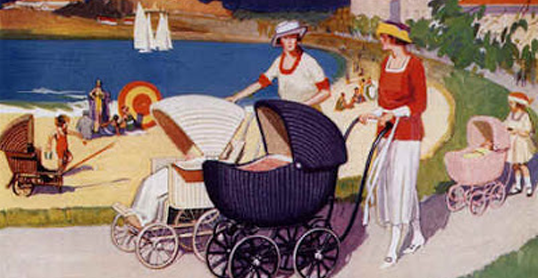 Furthermore, the rattan wicker would occasionally break and wasn’t a particularly soft and comfortable material, especially for strollers. 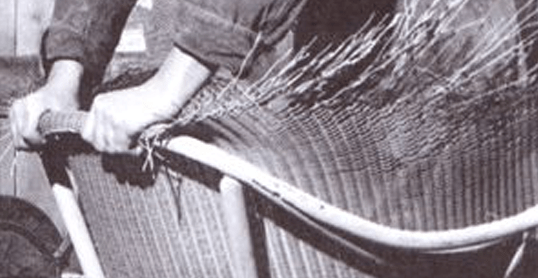 Marshall set out to create a weave which was not only stronger than rattan, but also looked better and had a much softer feel to it, to make the material very tactile. 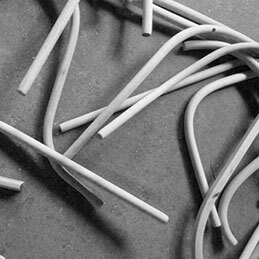 In 1917 after many experiments the solution was arrived at by twisting and winding Kraft Paper, around a fine steel wire. 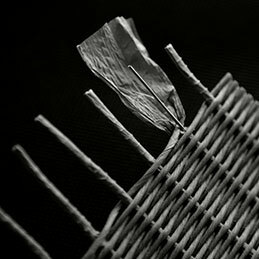 These paper-wrapped wires were then woven on a special weaving loom resulting in a fine regular and solid paper weave. Marshall called his invention “Lloyd Loom weave”. This extremely strong yet flexible material allowed the skilled craftspeople to shape the loom over the pram frames and so producing a smooth and attractive finish. With the new Lloyd Loom weave, production times on prams fell and all the negative qualities disappeared, leading Marshall to immediately recognise the possibilities of his invention for furniture production. Lloyd Loom chairs quickly became very popular in the United States and in 1921, Marshall B. Lloyd sold his patent to an English manufacturer, W Lusty & Sons, who used the Lloyd Loom fabric to create a collection of typical English utility furniture. Primarily due to its durability and secondly the relative affordability of the finished product, Lloyd Loom was soon all the rage in Europe. 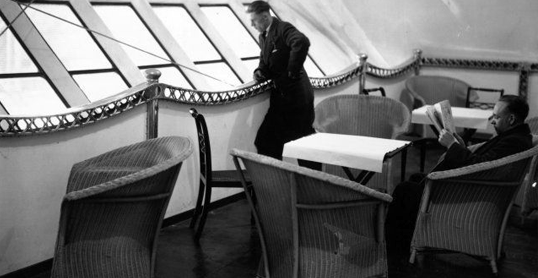 At the height of its popularity, in the 1930s, Lloyd Loom furniture could be found in hotels, restaurants and tea rooms, as well as aboard Zeppelins, cruise ships and ocean-going liners. 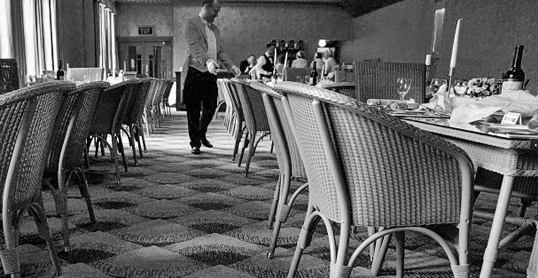 Today Lloyd Loom tables and chairs grace high profile sporting venues such as Henley, Wimbledon and Twickenham, followed by the floorboards of ocean liners, royal yachts and recognised tea-rooms across the country. Our team of skilled craftsmen has produced Lloyd Loom furniture for many of these high profile venues, and continue the heritage of traditional British Lloyd Loom furniture manufacture. Beautiful Lloyd Loom furniture has been used in the royal box and other parts of the grounds for years. 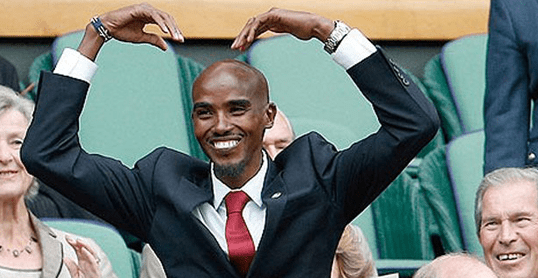 Those seat pads have been graced by many celebrities and dignitaries with many sitting right on the very edge during Andy Murray’s recent second victory (it certainly beats Henman Hill). 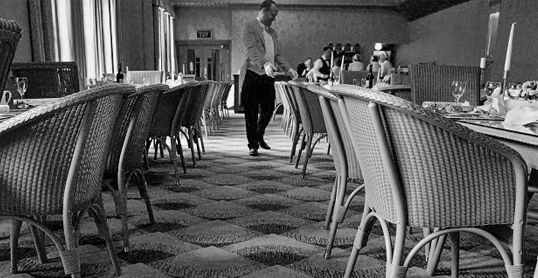 Take yourself back to the 7th October 1932 when style, elegance and a relaxed atmosphere can be enjoyed in the sumptuous surroundings of our art deco Café Restaurant, a restored gem in your Plaza Super Cinema and Variety Theatre. Lloyd Loom sits proudly in this wonderful restored café, special care was taken to ensure these bespoke items of furniture were created in a style that matches the original chairs. 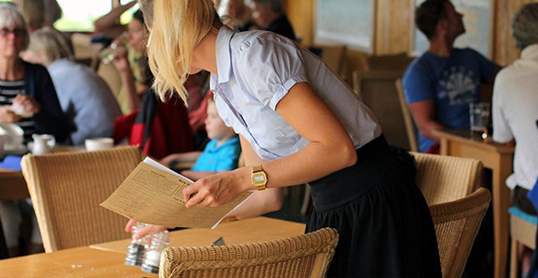 Tresco is a beautiful, tranquil, family-owned island off the coast of Cornwall with award winning accommodation and food. Lloyd Loom sits perfectly on the island in a variety of locations across the isle including the Flying Boat Club, New Inn and in many of the rooms used for accommodation. Tresco Estate has used Lloyd Loom for many years due to it’s enduring quality and the sense of elegance and class it adds to many of the rooms. Chatsworth House is a stately home in Derbyshire, England. It is in the Derbyshire Dales, 3.5 miles north-east of Bakewell. It is the seat of the Duke of Devonshire and has been home to the Cavendish family since 1549. 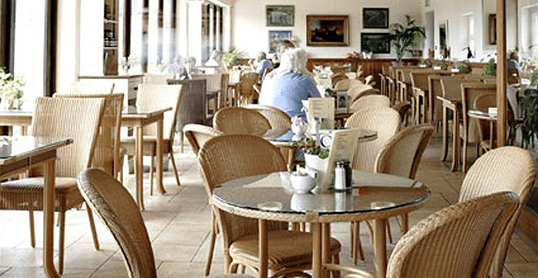 Lloyd Loom has been used in the cafés and restaurants here for generations, Chatsworth House is quintessentially British – just like Lloyd Loom.